How do we Know what the Stars are Made of? Dr Bruno Letarte addressed this question at the South African Astronomical Observatory (SAAO) in Cape Town 9th April 2011. Have you ever wondered what the stars are made of, or if it is possible to figure this out using the tools that we have access to? Two hundred years ago the accepted scientific consensus was, as much as we know about the motion of stars and other celestial objects, we would never be able to determine what a star is made of unless we had a piece of it to analyse in a laboratory. Things changed drastically with the invention of spectroscopy. 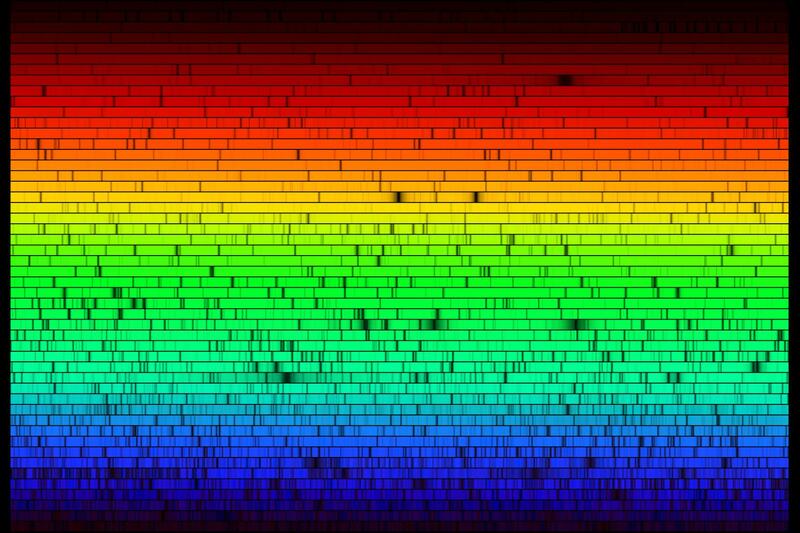 By analysing the intensity of the light we get from a star over a large range of wavelengths, we are able to detect the “signatures” (or fingerprints) left by different chemical elements. By using examples that are common to our daily lives and expanding a little bit on them using basic concepts of physics and chemistry, Dr Letarte discussed how it’s possible. He also described the basics of what a star is, how it produces energy and creates all the different chemicals found on Earth and across the universe. Dr Bruno Letarte was born in Québec, Canada. He studied his undergraduate and masters degrees at the Université de Montréal. Nine years ago he moved to the Netherlands for a doctorate at the Kapteyn Astronomical Institute in Groningen. His thesis, entitled “Chemical analysis of the Fornax Dwarf galaxy” is freely available online [PDF download]. He joined SAAO in November 2009 after his first postdoctoral position at the Californian Institute of Technology (USA). He is interested in the resolved stellar population of local group galaxies, from high resolution chemical abundances of individual stars, to kinematics and multi-wavelength photometric surveys. From an early age, Bruno has been a sceptic, always interested in understanding the how’s and why’s of various natural phenomena. He also has a passion for motorcycles, learning new languages, photography and the use of new technologies. Most stars are 70% Hydrogen (H) and 28% Helium (He). It’s the remaining 2% that astronomers are interested in though, since this last 2% includes complicated, heavy elements. I’m sure everyone will remember this from high school. The elements become more complicated towards the bottom of the periodic table, with the simplest elements starting at the top. Note H and He marked as 1 and 2, the two simplest known elements. The first atom imaged below is a Hydrogen atom, the second is Helium, and Lithium (Li, number 3 on the periodic table) is the third atom. You can see how the elements become more complicated so you can imagine how complex the elements further down the table can get. The blue dots represent neutrons, the red represent protons, and the yellow surrounding dots are electrons. An example of a more complicated atom would be Xenon (Xe, number 54 on the periodic table), which has 54 protons, 77 neutrons, and 54 orbiting electrons. Given the right conditions you can merge atoms together. This process releases energy and creates larger particles. Called nuclear fusion, this process is not to be confused with the controversial hot topic of nuclear fission. Nuclear fusion can be considered a producer of clean energy, whereas fission breaks apart atoms to release “dirty” energy and create new particles, which can be dangerous to humans. The fusion of Hydrogen is clean energy. Hydrogen is the common ancestor to all elements. For example, merging 4 Hydrogen atoms could create 1 Helium atom, and so you can see how Hydrogen can be used to populate the entire periodic table. The mixing and matching of these various elements will create many different elements, some of which will require enormous amounts of energy to be created and will have a short life. To understand the composition of a star, it is first important to understand how light works. Light behaves like a particle and a wave. Light “particles” are called photons. The speed of light in a vacuum is 300 000 000 meters per second. To draw a comparison, sound is a wave and travels slowly through air at 342 meters per second. Take lightning and thunder as an example. The light from the lightning bolt will reach your eyes long before the sound of the thunder reaches your ears. South is a compression wave, which is why there is no sound in space, which is a vacuum. You need the medium to propogate the wave, so just as throwing a rock into a pool with no water in it will not create ripples, trying to create sound without air will be a futile effort. Light is an electromagnetic wave and can therefore propagate in empty space. A star is a nuclear reactor that transforms simple atoms into more complicated atoms by nuclear fusion. Doing so releases energy in the form of electromagnetic waves. The temperature of the surface of a star will dictate how much energy it will release in each part of the electromagnetic (EM) spectrum. For example, if it releases more red but less purple, then we can estimate that its temperature is around 4,500 Kelvins. Colour is the wavelength associated with light. Our eyes have special receptor cells (called cones) in various sizes (small, medium, and large) to detect colour. These cones have various sensitivities to each colour. The sun’s surface temperature (approximately 5,500 K) peaks in the green, but it also emits light in all the other colours. Our eyes tell our brain to see it as whitish yellow. As an interesting aside, according to a recent study by a physicist and a neurologist (Tcacik and Balasubramanian, Feb 2011, sciencemag.org), these cells are the product of a selection process which took place 10 million years ago in Africa. By analysing over 5000 high definition images in Botswana they were able to determine the cone arrangement that would pick up the largest number of photons. With a proper instrument you can “decompose” white light into 7 different colours. This effect can be seen in nature in the form of a rainbow, which occurs when water droplets split light and has become iconic in popular culture (remember the cover of Pink Floyd’s Dark Side of the Moon album?). When white light enters an object that has a certain geometry it will split. The reverse of this process can be seen in an experiment called Newton’s Disc, where the 7 colours join to form white. 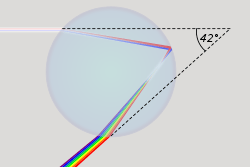 1672: Isaac Newton was the first to understand the rainbow effect. Popular belief at the time suggested that the prism he used to decompose the light was actually colouring the light. Only once he used the disc, now called Newton’s disc, to re-merge the colours was it understand. 1802: William Wollaston (English Chemist) also refracted sunlight through a prism but found that some areas were darker, as if the Sun’s light was absorbed at certain precise wavelengths. 1814: Joseph Fraunhofer (German Optician) counted 475 dark lines across the visible light spectrum. When you throw salt on a flame you can see some of these dark lines as the elements merge (Sodium Chloride: NaCl). This line is known as the sodium line. When you shine a beam of light on an atom the incoming photons will disturb the cloud of electrons. A photon hitting an electron will transfer its energy and vanish to allow the electron to change its orbit. When an electron gains energy and goes to a higher orbit it removes photons of a specific colour from the beam of light. These dark lines in the spectrum are known as absorption lines. When an electron moves to a lower orbit it emits a photon corresponding to a specific colour. This creates emission lines. Each element would have its own lines dependent on its mass, number of electrons etc, and by measuring this scientists can calculate the amount of energy required to produce each colour. This can be calculated on paper and through computer models. 1868: A new element was found in the solar system. Initially it was thought to be Sodium. Norman Lockyer (British Astronomer) proposed it was a new substance. This element was named Helium, from helios the Greek Sun god. This element was found on Earth 27 years later by William Ramsy in 1895. 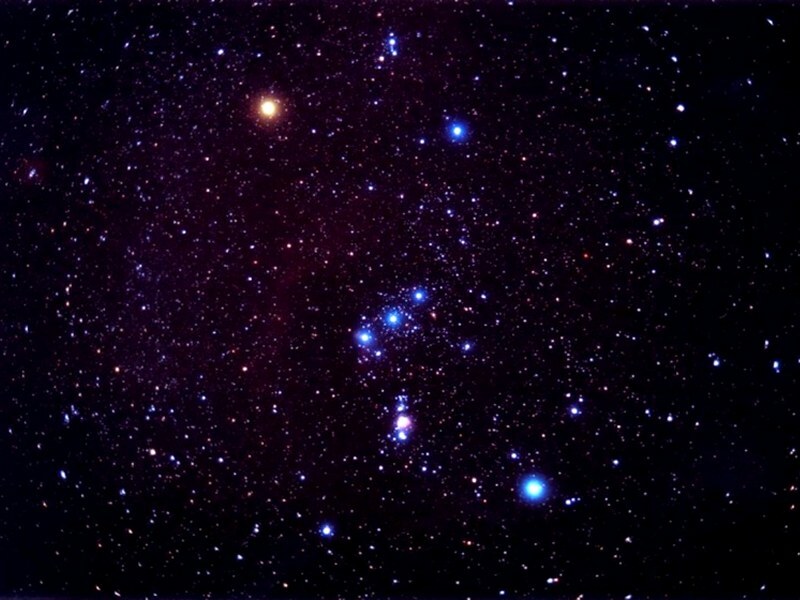 1897: Frank Mclearn (British Engineer) discovered Oxygen in a star, β-Crucis in the Southern Sky. This discovery was made at the Royal Observatory at the Cape of Good Hope, and caused some controversy at the time because his fellows in the Northern Hemisphere could not see the same sky as him and so took some convincing. 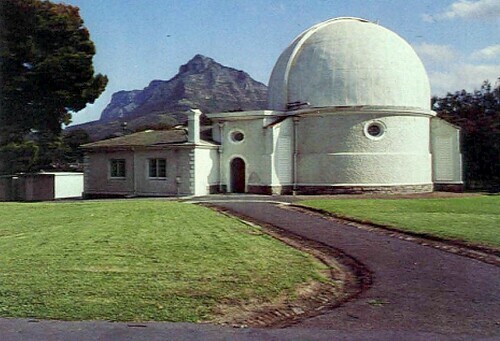 The McLean telescope was built in his honour, still open to the public in the Cape Town observatory today. The spectrum of the sun is pictured below, with each dark line representing an absorption line. The nuclear reactions of a star occur at its dense center, and most of its energy is liberated from there. These colours all have different wavelengths, and this is how we know what a star is made of. 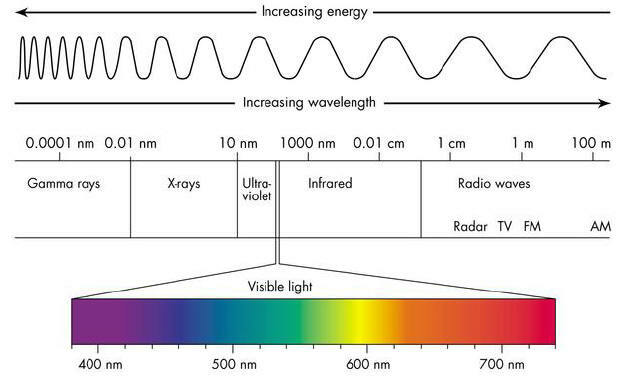 Different chemical elements will create a different scattering of absorption lines in the spectrum of visible light. We understand the interaction of an atom with light, and because of this we can predict where the lines should be and verify this in a lab. A star is a nuclear fusion furnace that creates elements. The Sun will burn out its Hydrogen in 4-5 billion years. By using the method of spectroscopy we can know how much of each element is in a star because the chemical elements present in the atmosphere of the star create absorption lines. The age of a star can be relatively deduced by the metal content of a star, since the heavier elements will be older and mean the star is enriched by the remnants of other stars. By studying the different stars and galaxies we can trace their chemical elements which will tell us about their history. We then had the good fortune of doing some star gazing with some of the astronomers at the SAAO. A row of lights in the grass lead the way to the viewing area in the dark where about 8 large telescopes were positioned at certain spots in the night sky. I was a blue and orange binary star system with 130x magnification. When seen with the naked eye this system appears as one star, but the stars are actually 400 light years apart. I also saw a gold and silver double star system in Canis Major. About three telescopes were pointed at Saturn, which was low and bright in the sky. I could see the shape of its rings, iconic to the sixth planet in our solar system. 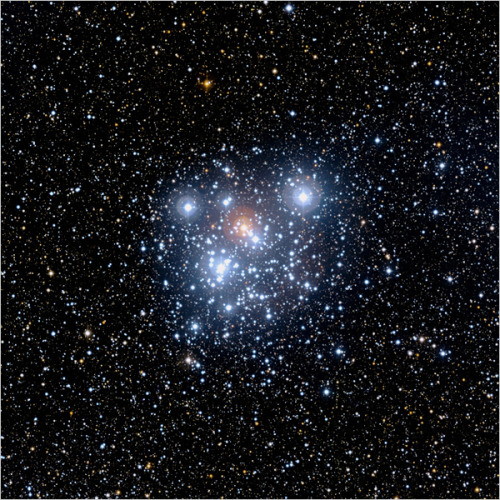 and Jewel Box star cluster, which looks but like this with a powerful telescope. Edit: Cosmos season 1 episode 5, the new one with Neil deGrasse Tyson, beautifully explains these emission lines. If you still aren’t quite following how they work then I highly recommend you take a look at this stunning episode. Next Post Will the world end in 2012? The astronomical evidence. I saw the jewel box about five days ago from my friends balcony, it was amazing, we only had a 50x magnification but hopefully we’ll have an eyepiece with 200x mag next time. The moon is still my favourite viewing object, its so surreal to see something that we take for granted everyday up close and in so much detail. Am I correct in saying that stars are still being created in the universe? If so what is the most common method? Collisions? The jewel box is incredible. It is one of the first things I remember seeing through a telescope other than Saturn. Although I entirely agree with you about the Moon. People overlook it so often. Stars are still being born every day, although it’s a very long process, not an instant thing. It is highly improbable that a a new star will be formed through a collision, and even more improbable that two stars will ever collide. Even when two galaxies cross paths the stars never touch, simply because of the vast differences between them. Watch this YouTube video of a simulated galaxy collision. Nebulae are large clouds of gas and dust in space, generally remnants of exploded stars/ supernova. The dust and gas gradually begins to come together under the influence of its own gravity, helped by other processes that compress the gas – such as collision with the expanding shells of material thrown off by dying stars. Massive stars may undergo a tremendous supernova explosion, in which most of their material is throw off into space, adding greatly to the dust and gas already in the vicinity, and further compressing the gas. Eventually, in regions where the density of material is sufficiently great, the dust and gas condenses into a vast swirling concentration – a proto-star. The proto-star continues to contract and as it does so the temperature at its centre increases. The more massive the proto-star, the higher its central temperature. Some proto-stars are so small that they will never become hot enough for nuclear reactions to begin. But a proto-star of sufficient mass will, after many tens of thousands of years, ‘go nuclear’ (start to shine), when its central temperature reaches ten million degrees Celsius. This is the moment of starbirth. The new-born star emits large quantities of radiation, which can disrupt the formation of other stars in the vicinity. However, after its violent birth, the star settles down to a period of relative stability. Any remaining dust and gas in close proximity to the star may clump together to form planets, comets and meteoroids, such as in our own Solar System. This Wikipedia article on Stellar Evolution is quite well laid-out. Thanks for letting me know! I’ve fixed the problem and they should be working fine now.